Standard extension cables extend power cables on the wall end, this cable extends a PC power cable from the equipment end. The cable comes with a female IEC C13 connector on one end and a male IEC C14 connector on the other end. 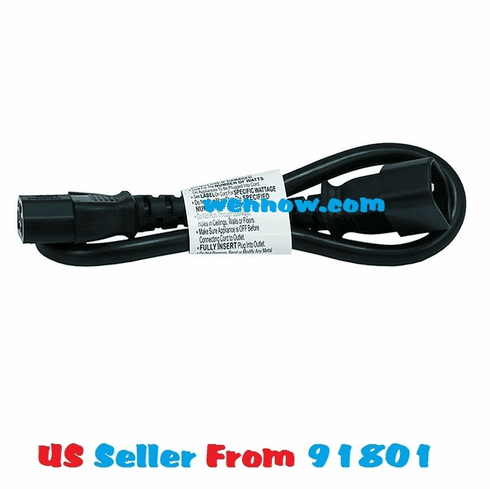 The IEC C13/14 connectors are the ones most commonly found on PC power supplies, but they are also found on many printer, monitors, projectors and HDTV’s.